From the ground up, Accurate Pest Control has been at the forefront of our industry, taking a proactive approach, seeking out new procedures and materials, and refining our Integrated Pest Management (IPM) methods along the way. While we can certainly handle specific problems when they arise, it’s smarter (and more efficient) to prevent them from happening in the first place. All your information is just a click away. Online access to all your companies pest management information is in one spot. With just a few clicks you can see and print a report about what materials were used in your facility, view your service, payment, billing history and current statement. You will also be able to track trends such as pests found and deficiencies. 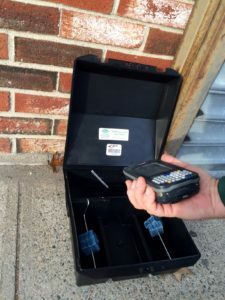 Allows us to track pest and rodent activity throughout a facility, by type, evidence and quantity. This information can then be viewed online by Accurate and your facility to determine historical trends, and pest or rodents activity at a specific area within the facility. With this level of tracking you will not only know how much material was used in your facility, but you’ll know the exact location of every placement as well. Accurate Pest Control considers documentation an important part of our partnership with our clients. Through it we communicate to you about your program, reports about your service, findings and recommendations and necessary reference materials. For easy reference, documentation is contained in our EcoService Log Book so that when a client or agency representative wishes to review their program, all information is at his or her fingertips. At the completion of every service visit, Accurate provides a documented service report that identifies the materials used, location of use, pest identified (if any) and sanitation or structural deficiencies with recommendations. The report is reviewed with the client, then placed in the EcoService Log Book so that you have an ongoing history of pest elimination. Our Plus and Premium Service information can be viewed online, as well. Through QualityPro, you can feel confident that prior to a technician arriving at your door, all employees of a QualityPro company must first go through a comprehensive criminal background check, meet a stringent drug-free workplace policy, and have the professional knowledge necessary to successfully reduce and eliminate unwanted pests. Our six stage treatment process allows our technicians to perform outstanding pest control using the least amount of materials in your establishment. As in any plan you need to start at the beginning. Accurate Pest Control starts with Integrated Pest Management (IPM) as a basis for your personalized plan. We incorporate this strategy into a comprehensive commercial service plan tailored to fit your industry and situation. Designed for medium to large sized facilities with varying pest pressures. Participating facilities usually receive a twice per month service. 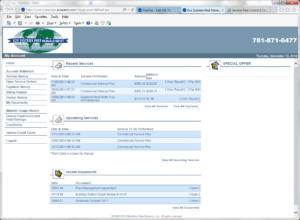 The EcoService Plus logbook, online access, and corresponding record keeping is an integral part of this service. This service is provided to health care facilities, multi-unit grocers and restaurants, lodging establishments, office buildings, and non food manufacturing facilities. Accurate Pest Control’s premium service offering is individually designed for large to very large food manufacturers, distributors and warehouses. Our EcoService Premium program is unsurpassed in quality and is designed specifically for facilities which are regularly inspected by outside inspection agencies. Facilities receive weekly service and at a minimum no less than twice per month service. Our EcoService Premium Logbook and corresponding online record keeping are integral components of this service. EcoFastTrax online station tracking, mapping and trend reporting provide a level of detailed information and communication unmatched in the pest control industry. EcoService Premium clients receive in-depth service management and Technical Support Team Supervision. This is the only accepted means of Pest Control in Massachussetts when working in facilities such as public schools, daycare facilities, and increasing numbers of industrial environments. Loosely defined, IPM is a systematic strategy for managing pests which considers prevention, avoidance, monitoring and Priority is given to non-chemical pest management techniques, particularly those that can prevent a recurrence of the problem. Pesticides are used when necessary, but only in a way that minimizes potential exposure to people and the environment. Records are kept to track problems, prevent recurrences, and evaluate the result of pest management actions. Accurate Termite and Pest Control is a registered IPM Business in the state of Massachussetts, providing service regularly to many of the most sensitive environments throughout our region. our considerable experience in this field enables our staff to tackle any type of situation in virtually any facility; what this means is that regardless of situational or environmental concerns, we will solve your problems and provide peace of mind. If during your regular service treatments you are not completely satisfied with the results, Accurate will retreat to your satisfaction or refund the cost of your last service. Take immediate action to correct the pest problem to your satisfaction at no additional charge. We will respond the same day if you call our office before noon or by the end of the next business day if you call between noon and 5:00 P.M., or your next month’s service is free.